If you decide to use a Linux OS host on your virtual private server, you will be delighted to know that you have a variety of options to choose from. Of course, it is essential that you take a look at all of the different options that are available ad get to know the advantages and disadvantages of each individual distribution before making your choice. To make things easier for you, we will list the most popular options here to help get you started. CentOS is a Linux distribution that is primarily free and community supported. This operating system is centered around Red Hat Enterprise Linux. A CentOS VPS offers enterprise quality software for free, enabling users to experience top quality VPS services at a low cost. Users will just have to pay for their hosting plans. The CentOS operating system has numerous advantages over other Linux VPS operating systems. For one, the CentOS operating system is one hundred percent free. Second, you can contact developers to report bugs and discuss various problems with them that you are having and need help with, and they will always respond to you. You also have a large user community to consult with, in case you may be stuck on various things or just want to see what things you can do with this OS. In addition, you have a plethora of support options that are available to you that you can use for free. Finally, there are always QAed errata packages that are being tested and built at a quick pace. Debian VPS is another free open source platform that is of top quality, designed by the GNU Project. This particular Linux VPS software is highly flexible, it will enable you to have complete control over your environment, and it is very easy to set up and configure. In addition, Debian enables you to have high amounts of traffic on your servers without compromising your performance in the least bit. 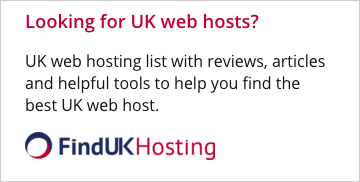 You can host a large number of sites and do a number of tasks without causing trouble with load times. If you are a developer, you will love Debian in that this VPS allows for optimal flexibility in that you can develop a number of applications to customize your VPS environment. Debian Linux is also backed by outstanding support. You can find a whole lot of free support via IRC, user lists, and forums, and you can even talk with the developers themselves. And last but not least, it is ideally suited for a VPS Hosting environment. Red Hat Enterprise Linux (RHEL) is is one hundred percent stable and performs very well. As a matter of fact, it is more stable and performs better than Microsoft`s Windows operating systems. A Red Hat Linux VPS provides support for a wide array of applications, and it also supports a number of hypervisors, hardware architectures, and clouds. The latest version, Red Hat 6, offers greater flexibility than past versions. Version 6 also allows for users to have a greater amount of control over their virtual private server environments. A large number of businesses trust in Red Hat for the fact that this is a very reliable VPS. While there are a number of advantages of using Red Hat, there are some disadvantages. For one, it seems difficult to find a lot of information, and there is a cost for using it. You have to obtain a subscription either from Red Hat themselves or from one of their venders. Fedora is another very powerful, free Linux distribution that is popular among many developers. Developers love how it is very easy to navigate and set up. Like most open source software, the user community plays a very important role. Developers can discuss matters with one another, and they can work together to find solutions to problems. Developers can also help one another to learn new things about Fedora. This comes handy for users who are at the beginner and intermediate levels. There are several advantages to using Fedora. For one, Fedora is extremely flexible. Fedora has a set of tools that enables developers to create their own versions of the OS and distribute them to others. These tools allow for creativity to be demonstrated. Second, Fedora is one hundred percent secure. And unlike Ubuntu, Fedora has a firewall that works right out of the box and is very easy to configure. OpenSUSE, also free and open source, is a very stable and secure Linux operating system. The newest release comes jam packed with features, offering a whole host of tools to developers that enable them to customize their experiences. 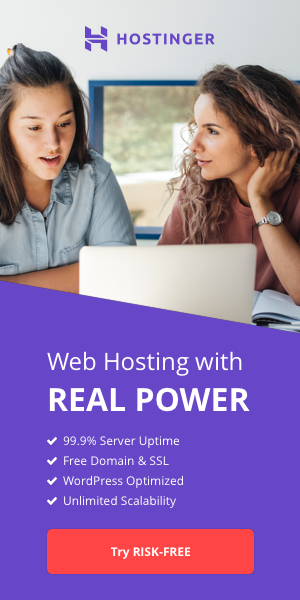 While this particular operating system is excellent for VPS hosting, you may discover that you will have a difficult time finding support info on the web. Information is not as readily available as with some other Linux distributions. You’ll need to go straight to the openSUSE Project for most of what you need to know. You will also need to consult the project to obtain a release, should you desire to utilize it. Of course, you can purchase a hosting plan that contains this operating system from a variety of different companies. Finally, there is Ubuntu. Ubuntu is free and open sourced, and it is immensely popular among developers. Ubuntu is very simple and easy to use, as it takes little effort to configure. In addition, you will have no difficulty finding tons of information about Ubuntu due to its extensive popularity as a Desktop Operating System. You can find whatever you need to know in just minutes by doing a simple search online. While Ubuntu has huge popularity and is extremely well liked, there is one small disadvantage to using this operating system for a VPS server. Security features, like the firewall, are not present in the beginning. You may need to install and fully configure them to insure that your VPS is entirely secure. And although it is optimized for your desktop, it may not be perfectly suited for a hosting environment. You may want to choose a Debian VPS instead. Now, no matter what Linux VPS you decide to use, beginners may want to install a VPS control panel like Plesk or cPanel to help with much of the configuration and management of their Linux VPS Server. Such control panels remove a large amount of the learning curve. With all this information in hand, you will now be able to make an informed decision as to how you will set up your virtual private server and tailor your experience to fit your needs and run your business successfully. myhosting.com provides VPS Hosting aimed to help enhance productivity & maximize resources. With 12+ years of experience, myhosting.com offers a full suite of services from Shared Hosting to Exchange Email and services for SMBs and businesses of any size.